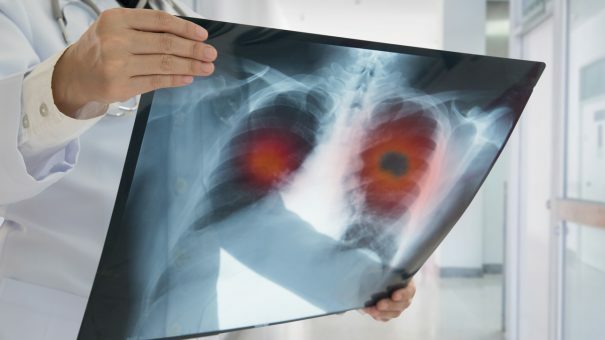 NICE has given the green light for lung cancer drug Keytruda to be used as a routine treatment for certain patients in England. Merck, Sharp, and Dohme (MSD)’s Keytruda (pembrolizumab) will be available for those with previously untreated metastatic nonsquamous non-small cell lung cancer (NSCLC), where tumours have specific protein and genetic markers. It is the first drug to break the new budget impact threshold for new products that cost more than £20 million a year. Following a deal forged by MSD and NHS England, Keytruda has been deemed cost-effective by the Cancer Drugs Fund (CDF) for routine commissioning in NHS England via NICE. NHS England worked closely with MSD to reach an agreement, demonstrating that the drug works for patients, the taxpayer and industry. Keytruda would have cost around £84,000 per patient at its full list price but NHS England and MSD struck a confidential arrangement for reimbursement to enable NICE to recommend it to be routinely available on the NHS. Immunotherapy drugs such as Keytruda are known as ‘checkpoint inhibitors’. These monoclonal antibodies work by preventing cancer from pushing a ‘stop button’ on immune cells, thereby spurring on the body’s natural immune system. Gary Middleton, professor of medical oncology at the University of Birmingham, was equally positive, calling the decision a ‘landmark’. He said, “Lung cancer is such a tough disease but treatments like immunotherapies that harness the patient’s own immune system to fight their cancer have transformed the way we think about the disease and more importantly treat it. Louise Houson, UK MD of MSD explained that since 2016, the CDF gave the industry a framework within which to progress the availability of Keytruda while gaining evidence to support its routine funding across the NHS. More than half of those with NSCLC have metastatic cancer that has spread throughout the body by the time of diagnosis. The disease has an estimated five-year survival rate in the UK of around 6%. Treatment gives patients an average of an extra 16 months of life.